Trust. It’s painfully hard to earn and unnervingly easy to lose. But without it, marketing doesn’t have a chance to win over buyers— or turn customers into loyal advocates of our brands. 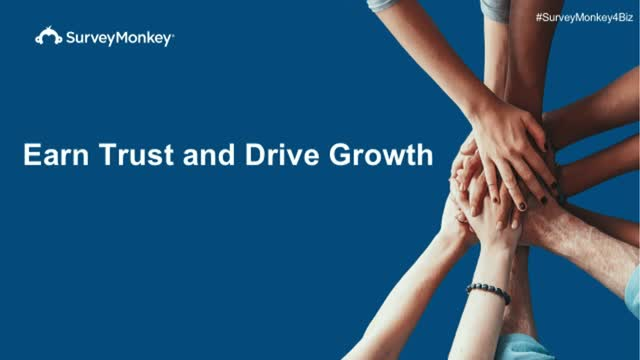 So how do we go about building the trust we need to accelerate growth? We’ll explore how to break through the noise and get the right type of attention for brands, and what it takes to earn—and keep—the highly coveted trust of prospects, customers, and colleagues. Learn best practices on how you can fuel growth and build trust by taking feedback to heart, embrace authenticity in marketing, and empower teams to take action on insights. Learn how a top B2B marketer solved the age-old dilemma of sales & marketing alignment and used feedback to establish herself—and her organization—as an expert.